FIT EVERYTHING YOU NEED IN THIS EXTRA LARGE, FOLDABLE DUFFEL BAG: measures 12x17x30 inches with 100 Liters capacity and weighs just 1.6 pounds. 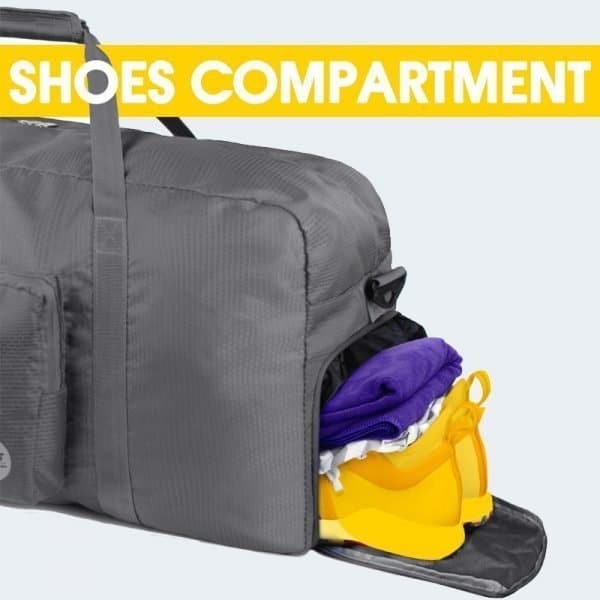 Versatile use for travel, sports gear and storing items to help you get organized. Exceptional size, but folds up compact to: 13″ x 12″ x 2’’ (33 x 30 x 5 cm). Super convenient to take with you as an extra “Just In Case” bag. 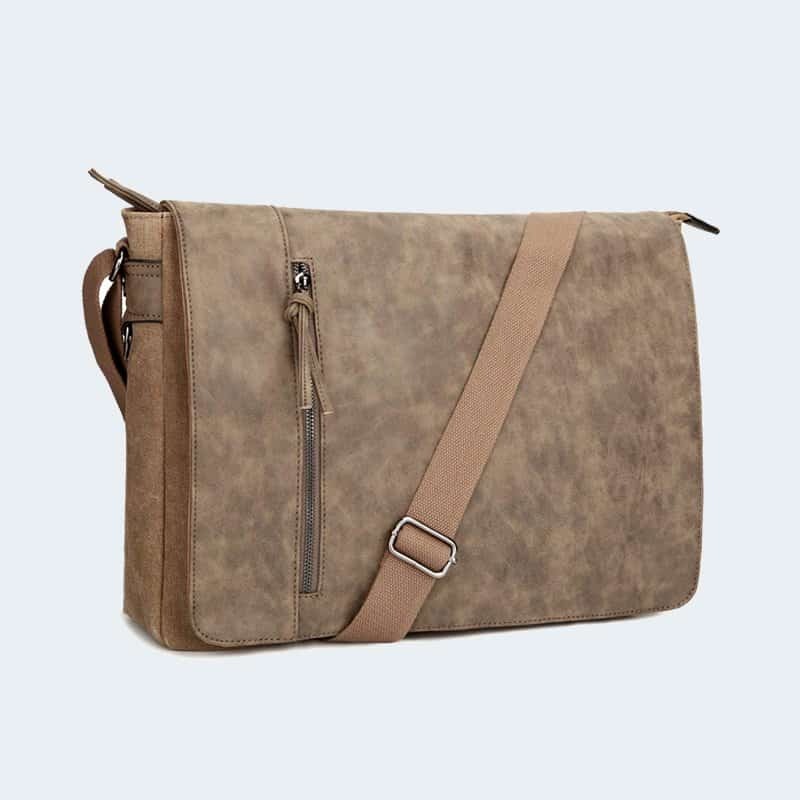 Pick your favorite color to suit your personal style. 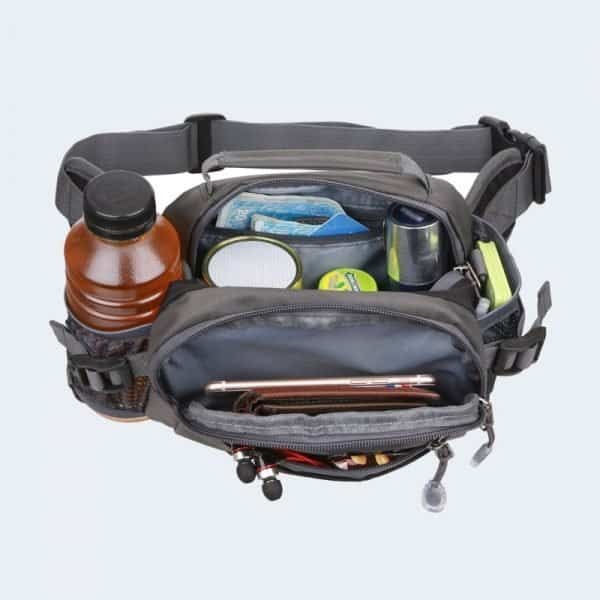 DESIGNED FOR CONVENIENCE WITH FEATURES INCLUDING: water and odor proof outer compartment. Secure pockets: 2 front, 1 inside, and 1 side. Strong two-way zippers and break-resistant pullers protected with rain flaps. Heavy Duty Reliable buckles and clips that hold weight. Durable honeycomb waterproof RipStop fabric resists wear and tear. Detachable padded shoulder strap and 2 sturdy side handles. 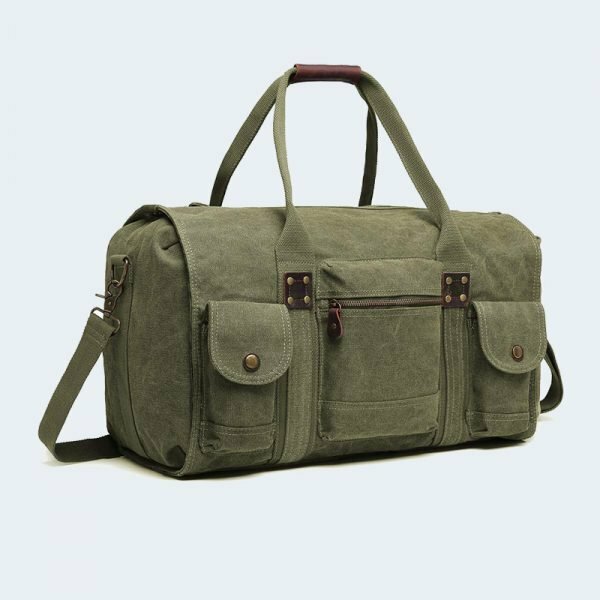 DEPEND ON THIS RELIABLE TRAVEL ESSENTIAL: use as a main luggage, an extra shopping bag, overnight or weekender bag. 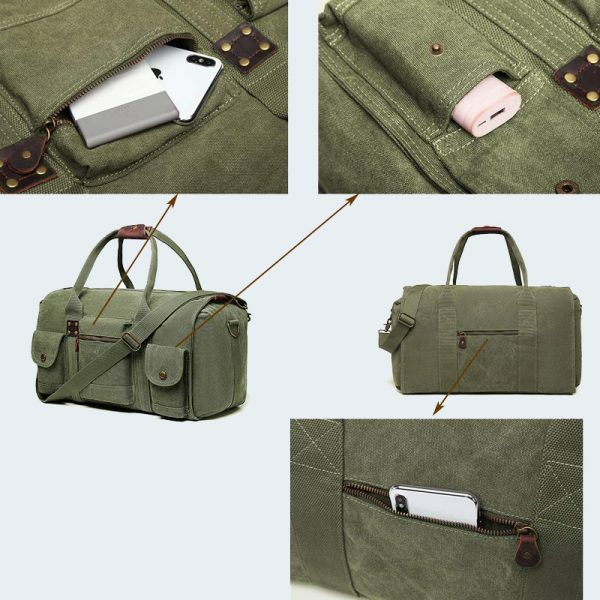 Weighs 75% less than common luggage! 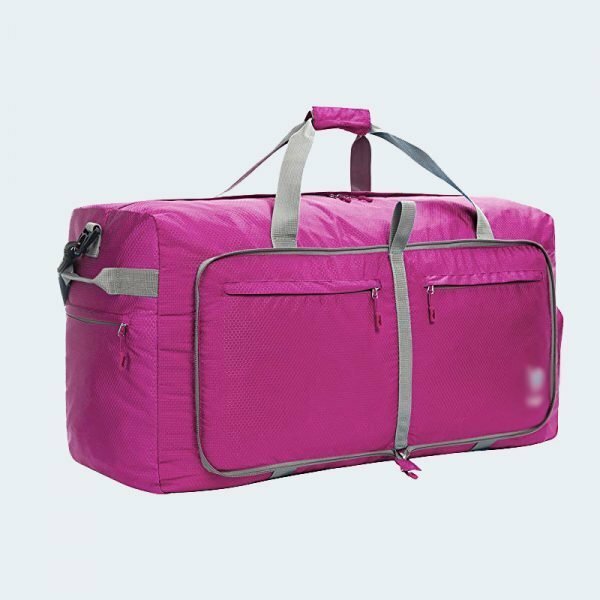 While traveling, simply unfold at the airport to carry your gifts and souvenirs, laundry, or to transfer your things from your damaged suitcase to avoid excess baggage charges. 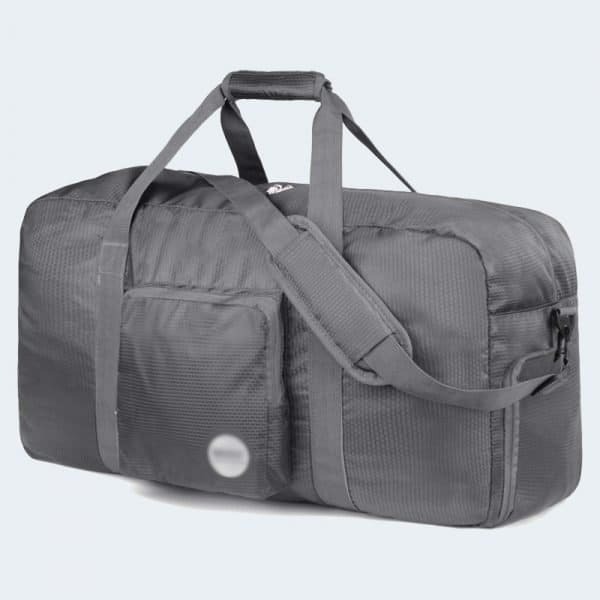 Prevent stress due to mishaps – always take a duffel on your travels. 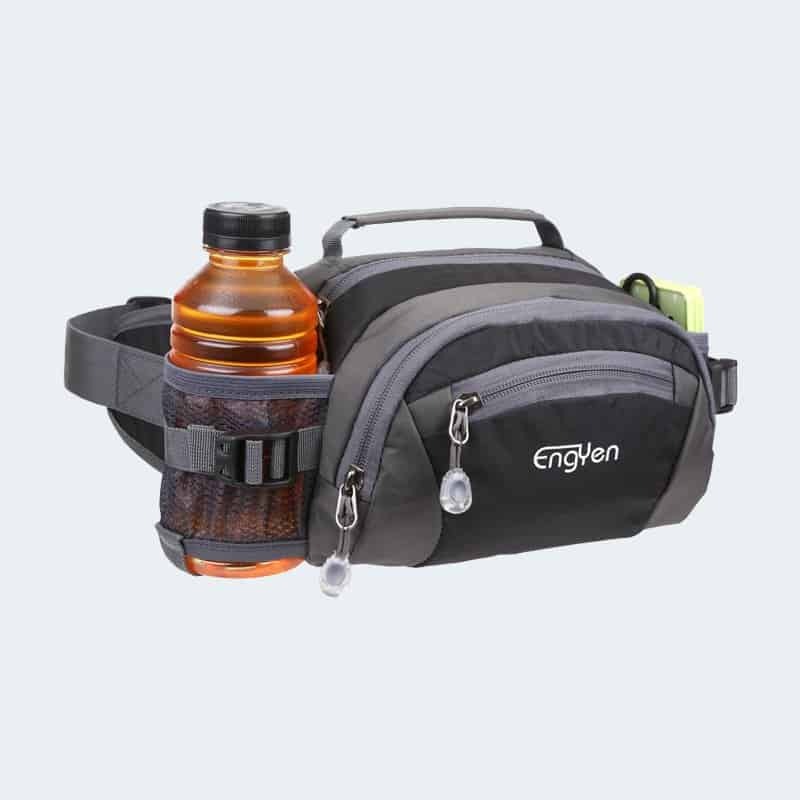 HUGE XL CAPACITY SPORTS GEAR BAG: with an accessible shoe compartment, multiple zipped pockets for important accessories, and a huge main compartment, this bag is great for sport items used for football, soccer, basketball, hockey, workout gear, biking, and more. Use for storing gear at home or in the garage, or keep it in your car trunk for weekly sports practices. 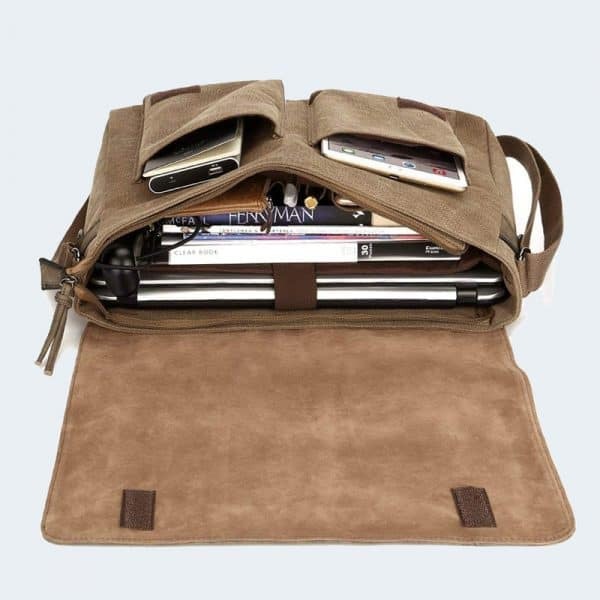 Collapsible for easy storing or carrying.